Hi everybody! 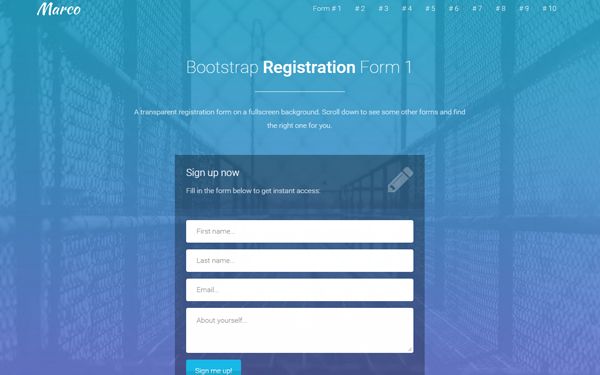 It’s been a few weeks since my last post here and today I’m going to share with you another free Bootstrap template, a login and a registration form in the same page. I’ve already published similar templates in the past, but this one is slightly different as its main feature is the ability to hide and show the forms, so your users can choose between the two with just a click. 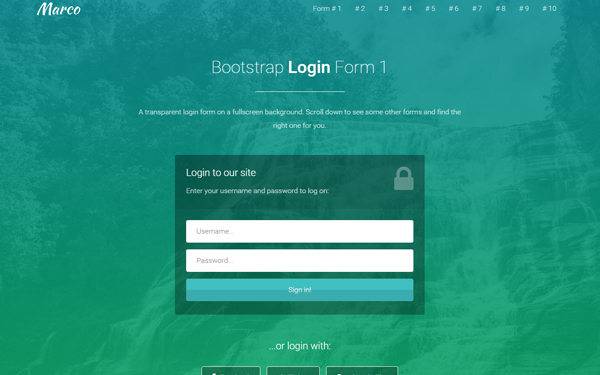 Some other features are: fullscreen background, Font Awesome icons and a simple jQuery form validation. So, download the free template below and go build your awesome “sign in” / “sign up” page. 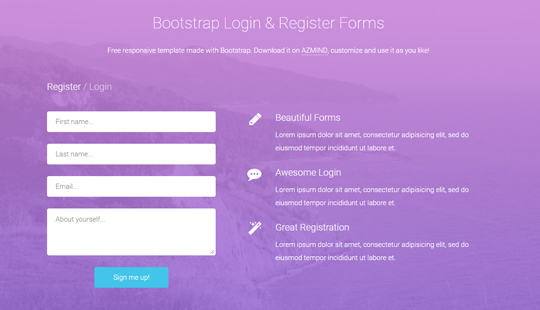 You can use this login and registration form template in personal and commercial projects, but you can’t sell or distribute it directly, “as is”. If you plan to use it, a link to this page or any form of spreading the word will be much appreciated. I use it with php and I want different result when someone click the submit registration form and other for login form. 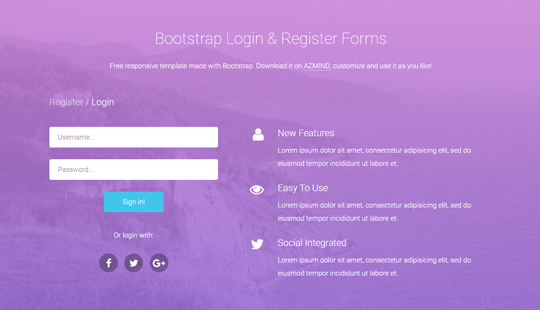 Unfortunatelly when I click submit on Login form it returns on Register form. How can this change?